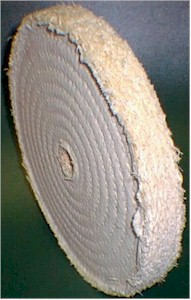 Sisal Wheel for Knife Mate and other buffing systems. 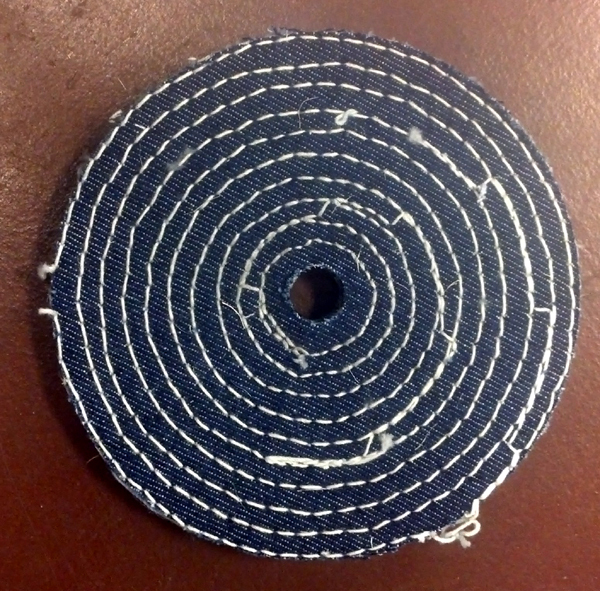 To effect a fast cut, use a sisal wheel with the Black compound. Sisal is a slender, hard, cellular strand of fiber that has demonstrated its great strength and tough resiliency in the form of binder twine, cord & rope for many years. These qualities, along with its natural abrading and grease absorbing characteristics, provide an ideal buffing wheel fabric. Made with a denim fabric blend.